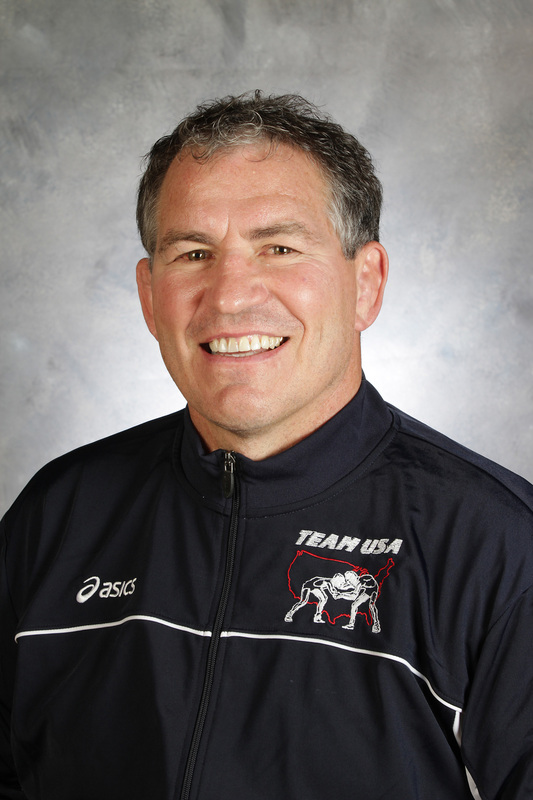 Steve Fraser of Colorado Springs, Colo., who has served as USA Wrestling’s National Greco-Roman Coach for more than 18 years and has been a key leader in building the U.S. Greco-Roman international program, has accepted a new position within USA Wrestling’s National Teams Department. Starting in March 2014, Fraser will assume the newly created position of Chief of Donor and Alumni Relations. Fraser will head the National Teams fundraising efforts to increase opportunities for U.S. athletes in all three styles of wrestling. “This is a position we’ve needed for a long time and Steve’s career experience makes him the perfect fit. He’s been an athlete, corporate executive, and coach at the highest level. This combination gives him a unique perspective on wrestling and business that will help him build and maintain relationships with donors and alumni who can make a difference for our athletes and teams,” said Les Gutches, Associate Executive Director for Programs and Performance. As Fraser transitions to the new position, the search for USA Wrestling’s new National Greco-Roman Head Coach is ongoing. Fraser will serve in an advisory role during the hiring process and transition. Inquiries and resumes may be sent to Associate Executive Director Les Gutches at lgutches@usawrestling.org. “I am very confident that USA Wrestling will search out the most dynamic and best qualified candidates to replace me as National Coach. I am totally committed to continue leading our Greco-Roman team effort 100% during the transition as I begin my new role. Our goal is to ensure that our current Greco-Roman athletes, who are on the verge of international success, continue moving upward without disruption. Along with USA Wrestling, I am totally committed to USA Greco-Roman becoming the strongest program in the world,” said Fraser. 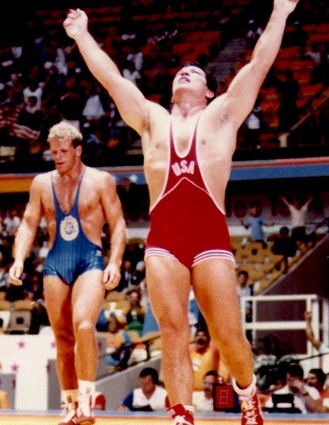 In 1984, Steve Fraser became the first American to win an Olympic gold medal in Greco-Roman wrestling when he defeated Sweden’s Frank Andersson at 198 pounds. Fraser will focus on fundraising for the national teams programs, expanding the resources available to American wrestlers at all levels. He will also be an important staff liaison to the newly formed U.S. Wrestling Foundation. Fraser will also be involved in a number of other major corporate initiatives in which resource development will enhance USA Wrestling’s ability to take the sport to a new level. “In my new role, I’ll have the ability to make a difference beyond what I could do as National Greco-Roman Coach. I’m excited to have a new challenge and grateful for the continued opportunity to help athletes pursue their dreams of being Olympic and World Champions,” said Fraser. Larry Nugent will continue to direct the Development Department at USA Wrestling, whose focus will shift entirely to corporate sponsorships and the Wrestling Nation annual giving campaign. The decision to split private donor fundraising and corporate sponsorship development is consistent with the structure of most athletic departments and large nonprofits across the country. “This is a very strategic move for USA Wrestling. Private donors and corporate sponsors are very distinct opportunities and each are fulfilled in a different manner. This is an opportunity for USA Wrestling to develop a targeted approach to fundraising that will ultimately help our organization, and the sport of wrestling, be more successful,” said Nugent. Fraser’s new responsibilities and USA Wrestling’s expanded focus on fundraising comes at a critical point in the development of wrestling. USA Wrestling was a leader in the successful Keep Olympic Wrestling movement in 2013, and helped rally the wrestling community behind the sport. USA Wrestling and its partners will initiate a number of exciting new programs in the upcoming months with increased efforts in expanding media assets, marketing, branding and communications strategies. “I can’t wait to get started. Our existing donors and state associations already do so much for USA Wrestling’s National Teams program, but I know we can do even more to help these young men and women do their best against international competition. I look forward to using my experience as National Coach to identify specific program needs and communicate to donors the impact they can have on our teams and their performance,” said Fraser. Fraser became USA Wrestling’s third full-time National Greco-Roman Coach in October 1995, following Dennis Koslowski (1988-1990) and Mike Houck (1991-1995) in the position. Fraser has the longest tenure of any USA Wrestling National Coach in history, regardless of style. Fraser led USA Wrestling to its only Greco-Roman team title in World Championships history when the Americans captured the title in 2007 in Baku, Azerbaijan. Brad Vering (silver), Harry Lester (bronze) and Dremiel Byers (bronze) each won medals as the U.S. edged Russia by one point for the team title. Fraser also was in the corner when Rulon Gardner shocked the World by knocking off three-time Olympic champion Alexander Karelin of Russia in the 2000 Olympic Games in Sydney, Australia. Karelin was unbeaten in international competition before suffering a loss to Gardner in the Olympic finals, considered one of the greatest upsets in Olympic history in any sport. He served as USA Wrestling’s national coach at five Olympic Games, starting at the 1996 Atlanta Olympic Games, and coaching in Sydney, Australia (2000), Athens, Greece (2004), Beijing, China (2008) and London, England (2012). Under Fraser, the United States won eight Olympic medals. Included was the gold medal from Rulon Gardner (2000), silver medals from Brandon Paulson (1996), Dennis Hall (1996), Matt Ghaffari (1996) and Matt Lindland (2000) and bronze medals from Garrett Lowney (2000), Rulon Gardner (2004) and Adam Wheeler (2008). In the four consecutive Olympic Games (Atlanta, Sydney, Athens, and Beijing) the U.S. Greco-Roman Team had the second-most Olympic Greco-Roman medals with eight. Only Russia won more Greco-Roman Olympic medals than the U.S. Team during those four Olympics. As National Coach, Fraser coached four individual World champions: Dennis Hall (1995), Rulon Gardner (2001), Dremiel Byers (2002) and Joe Warren (2006). During his tenure, Fraser led the USA to 15 World championships medals, including four golds, five silvers and six bronzes. In addition to the World Team title in Baku, Azerbaijan in 2007, the United States won two other World Championships trophies during the Fraser era. At the 2001 World Championships in Patras, Greece, the USA won the third-place trophy, led by champion Rulon Gardner and silver medalists Brandon Paulson and Matt Lindland. It was the first Greco-Roman team trophy ever won by the United States. Also, at the 2006 World Championships in Guangzhou, China, the USA also won the third-place trophy, led by champion Joe Warren and bronze medalists Lindsey Durlacher and Harry Lester. Prior to the 1980’s, the United States was not successful on the international level in Greco-Roman wrestling on a consistent basis. The USA did not win its first medal in Greco-Roman in the Olympics until 1984, when Fraser won his gold, and did not have its first individual World champion until 1985. Greco-Roman wrestling is a European-dominated sport, which is considerably different than the American folkstyle wrestling which is practiced in U.S. schools and colleges, making American success even more challenging. Along with Assistant National Greco-Roman Coach Momir Petkovic and retired National Greco-Roman Resident Coach Anatoly Petrosyan, and working with a strong team of volunteer coaches across the nation, Fraser brought the United States to prominence in Olympic Greco-Roman wrestling. As an athlete, Fraser won a gold medal at 90 kg (198 lbs.) at the 1984 Olympics in Los Angeles, becoming the first U.S. wrestler to ever win an Olympic gold medal in Greco-Roman wrestling. He won five matches on the way to the title, including a 1-1 criteria decision over Ilia Matei of Romania in the gold-medal finals. Among his key victories was a 4-1 decision over three-time World Champion Frank Andersson of Sweden. He also won a gold medal at the 1983 Pan American Games. Fraser was a member of the 1979 and 1982 U.S. World Teams. He claimed U.S. Nationals titles in Greco-Roman in 1981 and 1983, and was a U.S. Nationals freestyle champion in 1984. Fraser was inducted as a Distinguished Member of the National Wrestling Hall of Fame in 1994. He was named USA Wrestling Athlete of the Year in 1984, and was a finalist for the James E. Sullivan Award that year. He has been inducted into the Michigan Wrestling Hall of Fame and the Michigan Amateur Sports Hall of Fame. He attended the Univ. of Michigan, where he was a two-time NCAA All-American. Fraser received a bachelor’s degree in physical education in 1980. He was a Michigan state high school champion at Hazel Park High School. Fraser was a college and club coach after his competitive career was over. He was an assistant coach at the Univ. of Michigan from 1980-87, and at Eastern Michigan Univ. from 1987-1993. He also coached with the Michigan Wrestling Club for 10 years, working with their elite wrestlers in both freestyle and Greco-Roman. Fraser initially came to USA Wrestling after serving with Domino’s Pizza for 10 years. His final position with the company was the Senior Operations Director for the Flagship Academy for Domino’s Pizza, Inc., where he directed 65 stores, including Domino’s Pizza’s most elite corporate stores. Among his other positions were Special Projects Coordinator, Manager of Public Affairs, National Director of Sports Marketing Systems. He has three children, Kellen, Kerrin and Hannah.